What Are the Spots On Your Cat’s Iris? Archive for the ‘Veterinary Hospital’ Category. Can Cats and Dogs Develop Diabetes? Have you ever wondered if cats and dogs can get diabetes. Unfortunately they can, and some breed of dogs are more prone to diabetes than others, for instance German Shepherds, Golden Retrievers, Miniature Schnauzers, Keeshondens, and Poodles. Cats become prone to diabetes when they become overweight. 1 in every 500 dogs will become diabetic. There is no need to worry though, as the medicine to treat diabetes has been developing for humans, this research has also benefitted our furry friends. You just need to know what your looking for. There are symptoms to watch for if you suspect that your pet might have diabetes. Polydipsia is where your pet drinks more water than they regularly do. This is the earliest sign of diabetes in animals. 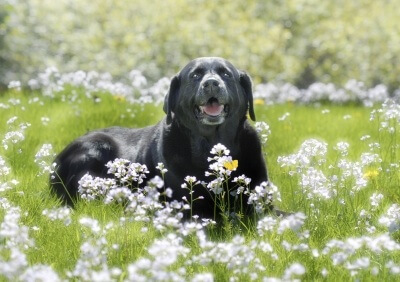 Polyuria is where your pet feels the need to urinate more frequently than normal. This may result in accidents around the house. This is the next warning sign, especially in animals who have never experienced urination accidents or problems in the house before. Polyphagia is an increase in appetite. If your pet acts hungrier than normal or as if it is starving, but instead of gaining weight your pet loses weight, this could be a warning sign of diabetes. These three symptoms can be accompanied by, or commonly proceed a sudden weight loss which can be caused by diabetes increasing your pet’s metabolism. As mentioned above overweight cats and dogs have a higher susceptibility to diabetes, therefore if you have an overweight pet keep the top three symptoms in mind, if you notice any of these don’t hesitate to bring your pet into your vet for a physical. Weakness and fatigue can be symptoms of diabetes as well. The disease can case a wasting away of the back muscles or weakness in the hind legs of cats. Dogs may become generally more lethargic, sleepy and inactive. The thinning, drying and dull appearance of your pet’s hair can be another symptom of diabetes, particularly along the back. If your pet is experiencing this symptom it is best to ask your vet to check your pet out as diabetes is not the only illness that causes hair loss. Diabetes can also cause cataracts in your pet’s eyes. If these go untreated your animal may go blind. As odd as this next one may sound, but depression can be another symptom of diabetes. 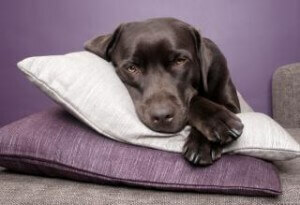 Due to the imbalance of proteins in your pet they may become depressed and lay around the house. The last sign to look for is vomiting. More common in older pets than younger ones and in female pets than males, this symptom is the most severe and is usually the last stage of diabetes that is recognizable. Dachshunds and Miniature Poodles are more predisposed to this symptom of diabetes as well. The good news is that with advice and help from your veterinary professional you will learn how to control your pet’s diet and give insulin shots to keep your pet healthy and active despite their diabetes. To learn more give us a call or bring your pet in if any of these symptoms describe your pet’s health condition. Four out of five dogs have periodontal disease. Yet, we spend far more time and energy focusing on our teeth with toothpastes, specialty toothbrushes, mouthwash, floss and teeth whitening strips. It’s easy to often forget about our pet’s dental needs, but that cause major problems and even shorten their life span. Pets can have the same problems that we can have if we don’t take care of their teeth (periodontal disease, gingivitis, bad breath, bleeding gums, gum disease, mouth tumors/cysts and a shortened life). Taking care of our pet’s teeth is similar to our own dental hygiene. To start out, inspect your dog’s gums and teeth to look for any signs of problems (inflammation, bad breath, red gums, bleeding, plaque, broken or missing teeth). You will want to lift up their lips for a good inspection of their teeth and gums once a week. If there are any signs of a problem, take your dog to Celebration Veterinary Hospital (if you are in or near Celebration, Florida) so that our professionals can check your dog. If there are no signs of problems, it is time to choose a dental regiment that you will keep up with. An easy option is to put a capful of dog dental rinse (don’t use your own dental rinse, as it is dangerous for your pet) in a quart of water. When dogs drink from their drinking water, it will help their dental hygiene. You can also give your dog treats that are specifically designed for dental hygiene, which work as an edible toothbrush. Having chew toys are also helpful to remove some plaque as they chew away. It takes time and energy, but it is important to brush your dog’s teeth at least 2 – 3 times a week. Don’t start out immediately brushing their teeth, but help them get used to the idea and the taste of it. You know your pet and when your pet is comfortable with one step, move to the next. You might have to work on a step for a few weeks to get them comfortable, though. First, start by massaging their lips like you were brushing their teeth to help them adjust to you touching their mouth like this. Then, massage their teeth in the same way in a circular motion. Afterwards, purchase a dog toothpaste and put a bit on their lips to get them used to the taste. Now, it’s time to start with a dog toothbrush (don’t use a human toothbrush). There are also dog toothbrushes that you can put on your finger to use. When they are used to you touching their teeth, the taste of toothpaste and the toothbrush, it is time to start brushing their teeth. Brush in a circular motion, just like we are taught to do for our teeth. Pay special attention to the part of the tooth that touches their gums, as that is where most plaque builds up. If you have specific questions about dental care for your pet, please contact Celebration Veterinary Hospital for an individual consultation. from the heat, just as we do. Pets can easily suffer from heat exhaustion, sunburns, and dehydration during the summer months. The Celebration Veterinary Hospital, in Celebration, Florida, has some tips to offer, but as always, keep a close eye on your pets and bring them in if you have any concerns. 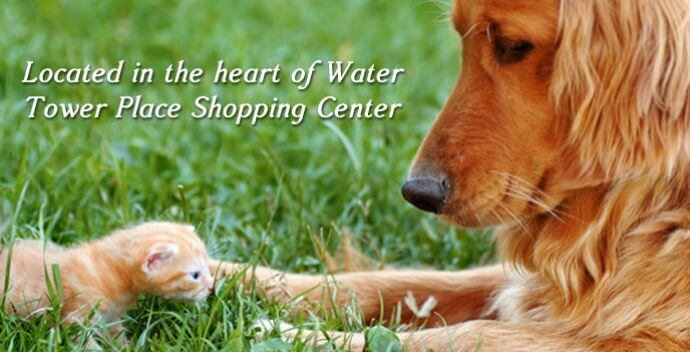 Make sure that your pet always has a fresh supply of cool water. Leaving water outside will cause it to be too hot to drink very quickly, so make sure you have ample shade and replenish the water regularly. If you will be leaving your pets alone in the day, freeze a bowl of water so it can thaw and provide cool water for a longer period of time. Bring pets inside during the hottest hours of the day. If it’s too hot for you to be outside, it is too hot for your pets. Remember, they have extra fur and their body temperatures can rise quickly. While they are inside, consider purchasing a pet bed that can be filled with cool water or placing a fan near them. When they are outside, make sure you have provided a comfortable shaded area. You can wrap an ice pack in a towel or sock and place it where your pet rests. You can also purchase cooling pads, bandanas or collars that can help keep your pet cool. Allow them to rest in the heat of the day and wait until it cools off to take them on a walk. Never leave your pet alone in a car. It isn’t enough to crack the windows for them, as the temperature rises too quickly in the car. Take an extra key with you so you can leave the air conditioning on for your pet while you run your errands. Pets, especially dogs, can sunburn easily. 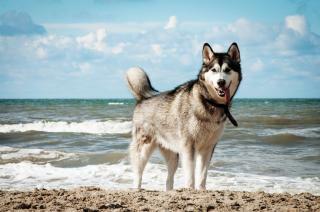 Pet sunscreen can be purchased, but avoid rubbing it on their belly or in locations where they can lick it off. The sun reflects off of sidewalks and sand, so don’t go to the beach unless you can assure there will be sufficient shade. If you have a pool in your backyard, supervise your pets as you would supervise children to avoid accidental drownings. Celebration Veterinary Hospital is here to help you keep your pet happy and healthy, so contact us to give you specific advice. Don’t you love it when your cat snuggles up in your lap or you get to spend time in the backyard playing catch with your dog? What about watching your children play with your pets? 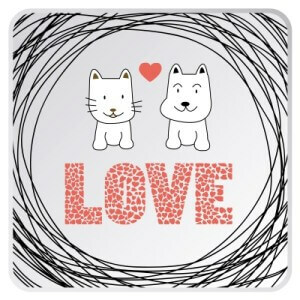 We love our pets and they bring happiness to our families. They have dynamic personalities and our houses wouldn’t be the same without them. 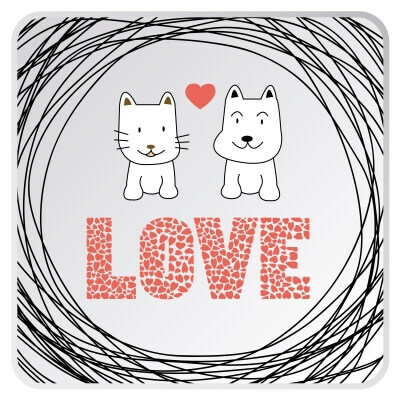 Celebration Veterinary Hospital exists because of our love of animals and we understand how much they mean to you. We are dedicated to caring for your pet as we care for our own. 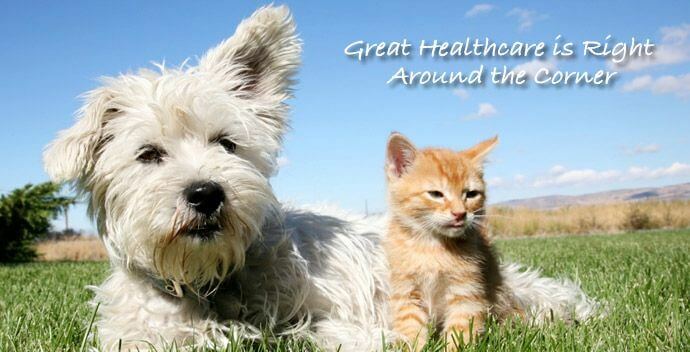 We are a full service pet healthcare center in Celebration, Florida, near Walt Disney World and Kissimmee, Florida. We offer and encourage preventative medical services, including annual health exams, vaccines, internal/external parasite prevention and dental cleanings to keep pets and their families healthy. We also offer boarding services when you will be out of town. When your pet is not feeling well, we understand that you worry about your pet and want to provide the best care possible. 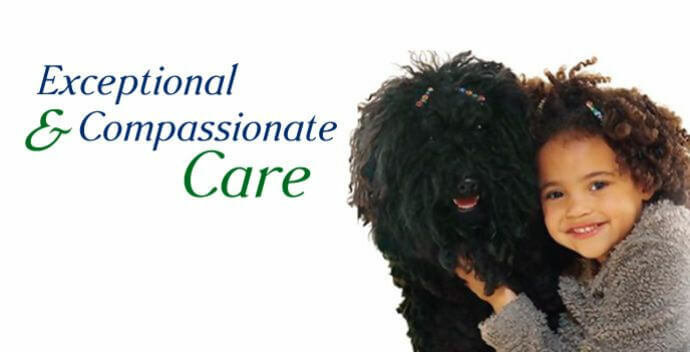 We are committed to offering compassionate patient care at Celebration Veterinary Hospital. 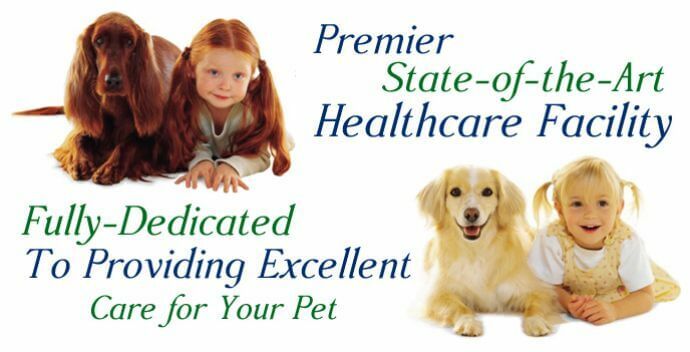 Our highly trained team works with state of the art medical instruments to accurately diagnose and treat your pet. We also want to help you be a great pet owner through education. In our location, we offer services to help, such as behavioral consultations and therapeutic diets. Online, we will write blogs to help spread awareness about pet care and offer helpful tips. Come on in to our location in Water Tower Shoppes next door to Carpet One and check back online to keep up to date with us. Copyright 2009. All Rights Reserved. Celebration Veterinary Hospital.